If you do not want to have a boring and outdated wedding, then it is necessary to have an elegant and stylish bridal hairstyles. 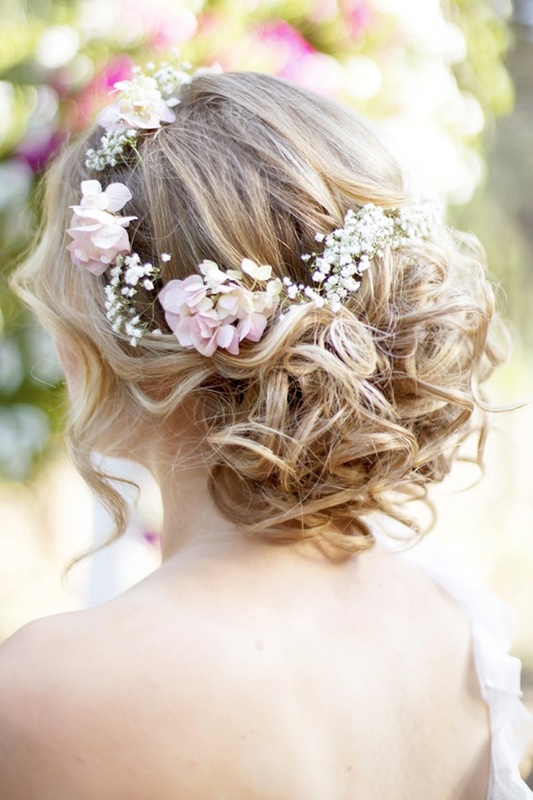 Wear a beautiful wedding dress is every girl’s dream, a suitable brides face wedding hairstyle can let the bride’s temperament is more superior. 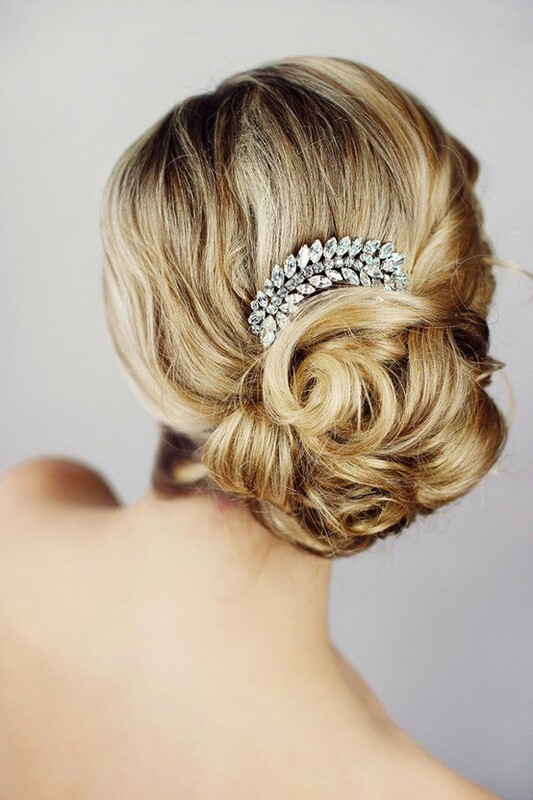 Elegant updo will give you the most desired bridal look, while also enhancing your facial features for a stand out effect. 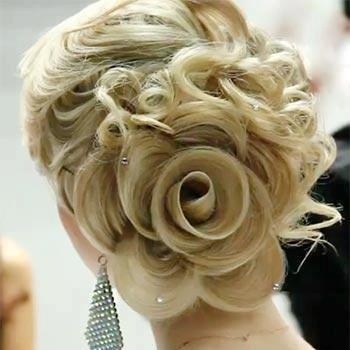 Get a clean and sophisticated all-up hairstyle to carry yourself in royal style. 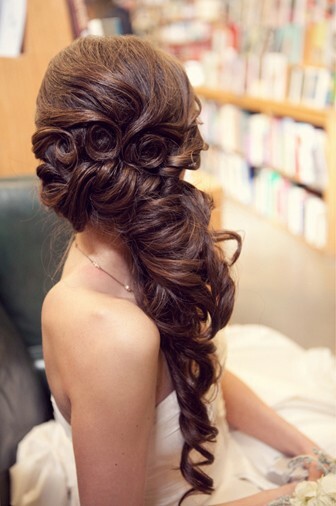 If that does not go with your style, wear a slightly messy back bun for an extraordinary oomph factor. 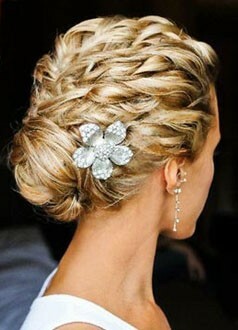 Besides, putting rhinestone or flowers along your bun will give you a sparkling fresh look. 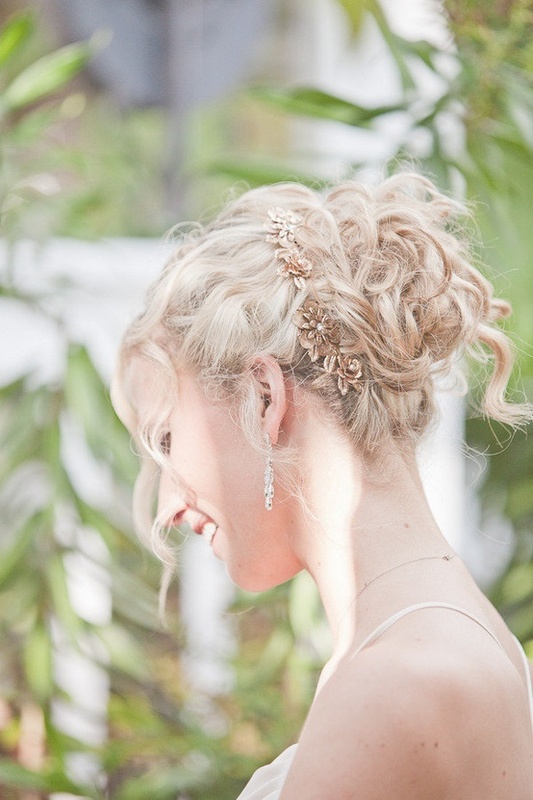 Look at the gallery below to pick latest trends in wedding hair updo styles. Step 1: Create a center part. 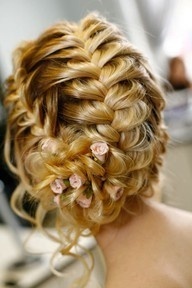 Pull strands on each side into loose twists and clip in place behind the ears. Step 2: Hold the rest of the hair in place with a chignon. Step 3: Gently tug a piece of hair loose so it sits just above the eye for a faux side bang. Step 4: Finish with a medium-hold hairspray. Step 1: Spray each section of hair with Bumble and Bumble Classic Spray. Step 2: Create tight curls using the Amika 5P Interchangeable Barrel Curler with 19mm barrel. Step 5: Finish with Bumble and Bumble Classic Spray.